As if you need any more reasons to love the Scenic City, go ahead and add food to the list. From Cuban cuisine to traditional barbecue, Chattanooga has it all. With too many to count and even more local spots to discover, we’ve listed just a few must-visits in the Chattanooga area. Here are seven off-the-beaten path spots that will bring a smile to your face. 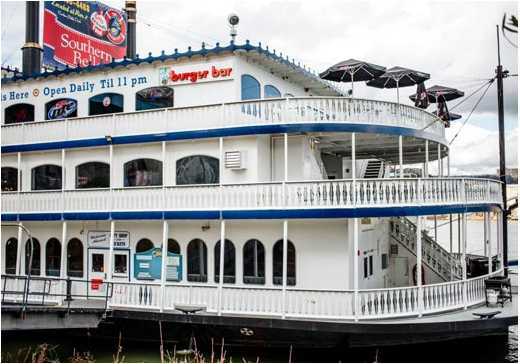 If you’re looking for a unique and fun place to dine, look no further than the 3rd Deck Burger Bar, which sits on the upper level of Pier 2, the dockside facility of Chattanooga’s iconic riverboat, The Southern Belle. This gem is a must for locals and visitors alike who enjoy a good burger—and 3rd Deck has among the best in the city. The restaurant features a lounge-style dining area and signature half-pound burgers can be customized to your liking. Top it off with a side of fries, or if you’re feeling extra adventurous, check out their signature fried pickles. If you enjoy southern fried foods, you’ll fall in love with their delicious appetizers. Known for its delicious—and not to mention massive—slices of cake, City Cafe is a local hotspot in Chattanooga. But don’t worry; City Cafe does more than cater to your sweet tooth. Serving breakfast, lunch and dinner into the wee hours of the night, this ’50s style diner has something for everyone. 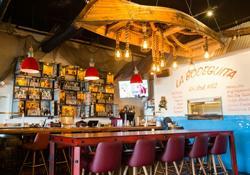 Experience tropical Cuba without the plane ticket as Embargo 62 brings traditional Cuban cantina cuisine to Chattanooga. Kick-start the evening with handcrafted cocktails and starters like masitas de Puerto frita, which are marinated and fried chunks of pork, or beef empanadas with the restaurant’s signature Embargo 62 sauce. Entrees include beef, chicken, and pork options prepared Cuban-style, as well as plenty of seafood, like the pan-seared Mahi Mahi served with a creamy veloute sauce. Save room for their excellent flan for dessert. Bringing New York to the Scenic City, River Street Deli brings classic deli favorites to North Chattanooga next to Coolidge Park and the Walnut Street Bridge. You’ll find tons of sandwich selections in addition to the expected pastrami, corned beef, and Reubens—which are all great. Choose from your favorite breads to pair with choices like a traditional roast beef or something a little more exotic like the New Orleans-style Muffaletta. The options here are endless. Perched alongside the Tennessee River, the Boathouse Rotisserie & Raw Bar is a great place to spend an evening in Chattanooga. 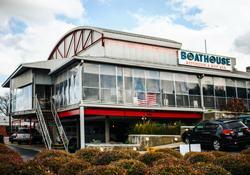 You’ll find a quaint indoor dining area and an outdoor covered patio that overlooks Chattanooga’s Riverwalk. 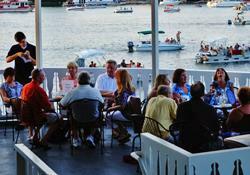 Enjoy one of the top oyster bars in the area in addition to many other seafood options. Some additional favorites on the menu include smoked pork nachos, “Texas Dip” brisket, and whole grilled trout. If you’ve got a taste for great southern barbecue, you’ll want to make a special visit to Shuford’s Smokehouse. Customize your own BBQ sandwich and enjoy a cold glass of iced tea. Choose from various meats like pork, chicken, and, of course, ribs, and pair them with some of your favorite toppings. If you’re craving a little something different, check out its specialty menu with options featuring homemade chili, Brunswick stew, and even BBQ stuffed potatoes. The Canyon Grill, known for its steak and seafood, proudly boasts using fresh ingredients to bring you the best meal possible. Seafood lovers won&apos;t be disappointed with its wide variety of fresh items. Be sure to check out its signature plate, the “Slash N Burn” catfish, which feature a farm-raised, crispy fried catfish served with a black bean sauce. If seafood isn’t your cup of tea, try some of its juicy steak options like ribeye, filet mignon, and more. 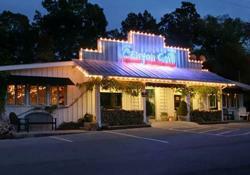 Canyon Grill also offers a unique BYOB program. Because it’s located in Dade County, this hotspot can’t sell alcohol, but that doesn’t stop you from enjoying some fine wine or a cold beer with dinner. Bring your favorite drinks and the Canyon Grill will provide glassware and ice buckets free of charge.